And if you were to hop upon this line, you would undoubtedly fall into a complete state of happiness. Being touched by a ray of light, granting her access to enter into the Oedo Line platform, where the Miracle Train runs. As the doors open up, the space inside is very different, as six handsome men await you inside. This is the legend of the Miracle Train and they are all personifications of Oedo Line stations! But how do you get on this Miracle Train? 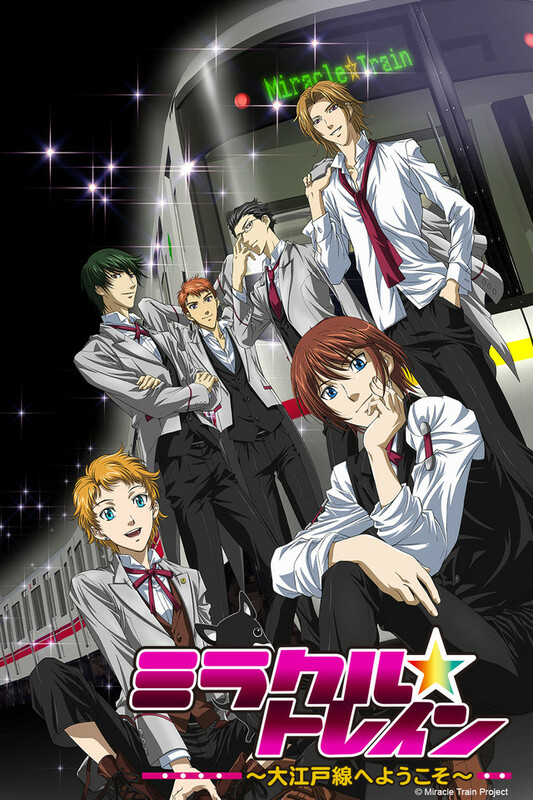 According to the conductor, the leader of these six gentlemen and the female guide, when women have worries or insecurities, the Miracle Train will appear. With names matching the stations along the line, these fabulous gentlemen - whose bonds together are tight, despite their different personalities - will erase all of your worries and fears. Thus the name: Miracle Train. So, are you ready to believe in and ride the miracle train?